If your home is currently being threatened because of water damage from flooding, you need to bring in a team of professionals who knows what it takes to get the job done right. Our team of professional flood damage repair has years of experience and expertise to prevent the damaging effects of water inside of your property. We work hard to help restore and preserve as much of your property as we can. We understand that it can be stressful and overwhelming enough just dealing with a flood, which is why we work to make the process as simple as we can. We have all of the necessary experience and equipment to handle any amount of water damage. Regardless of how large or small your water damage is, we have a solution to handle the problem for you with ease. It doesn’t matter what time of day or night you need someone, because we have someone who is available to answer your call. We have a team that works around-the-clock to make sure you always have access to someone right when you need it the most. We focus on drying, disinfecting and deodorizing your property in a safe manner. 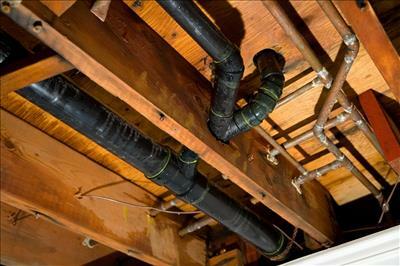 Every area that sustained flood damage is going to be taken care of for you. When we leave your property, it will look and smell absolutely amazing. Our goal is to make it look like there was never a flood that occurred in your property. We use hygrometers, moisture detectors and various other meters to measure just how much saturation has occurred in your property. Knowing what we are dealing with is the first step in being able to correct the problem. An infrared camera is often brought in to identify where the water is located. Knowing where all of the water is at in the property will help ensure we are able to eliminate it all for you. Gas-powered and submersible pumps are brought in to continually pump water levels that are higher. We want to make sure the water is continually being pumped out of your property to help promote the drying process. Portable and truck-mounted extraction units will aid in removing all of the water efficiently. Our deodorization products can help to control any odors attributed to high levels of moisture in the property. Our disinfection products will help eliminate potential growth of fungi, bacteria, mildew and any other microorganisms that are harmful to your environment. The drying equipment will help prevent any property damage such as warping and swelling of floors, furniture and walls. Our industrial dehumidifiers help to minimize any secondary water damage in the property. Our high-speed movers will create airflow that covers walls, pads, carpeting, furniture and more to help evaporate any moisture that remains behind. Certain situations need specialized drying techniques requiring certain training and equipment. Take the time to speak with one of our trained professionals today to discuss what all we can do for your home or business to remedy your situation.